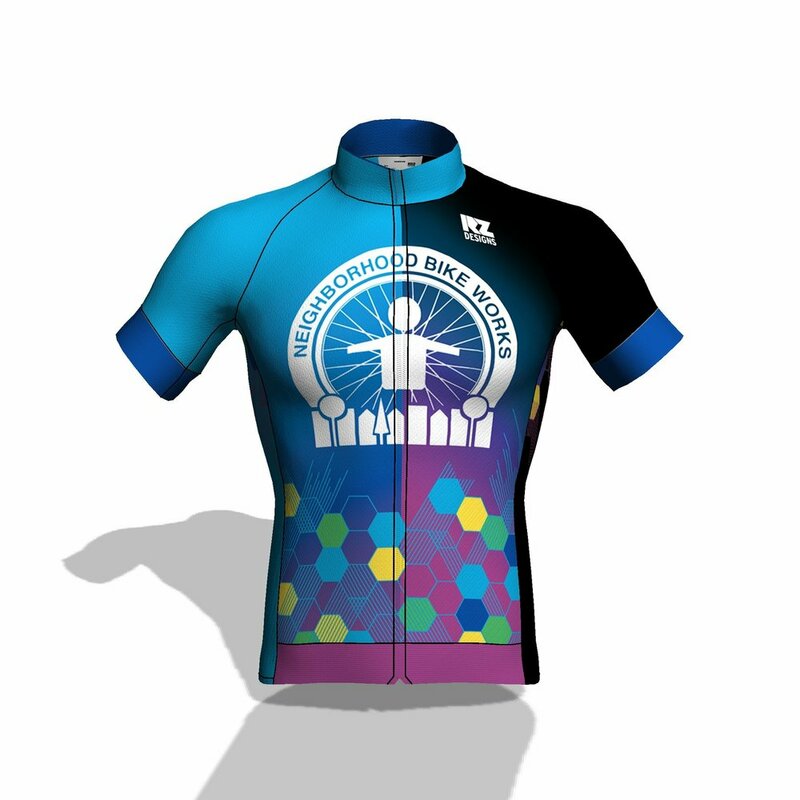 Print work and apparel to inspire and encourage the Philadelphia cycling community. Neighborhood Bike Works strives to inspire youth and strengthen Philadelphia communities by providing equitable access to bicycling and bike repair through education, recreation, leadership and career-building opportunities. They run a suite of youth and adult programs all designed to encourage more people to ride and maintain their bikes. Their work uses bikes to bring about positive change: personal growth, community building, and learning. We worked with Neighborhood Bike Works to create print items including posters, post cards, handouts and envelopes to promote events and fundraisers. 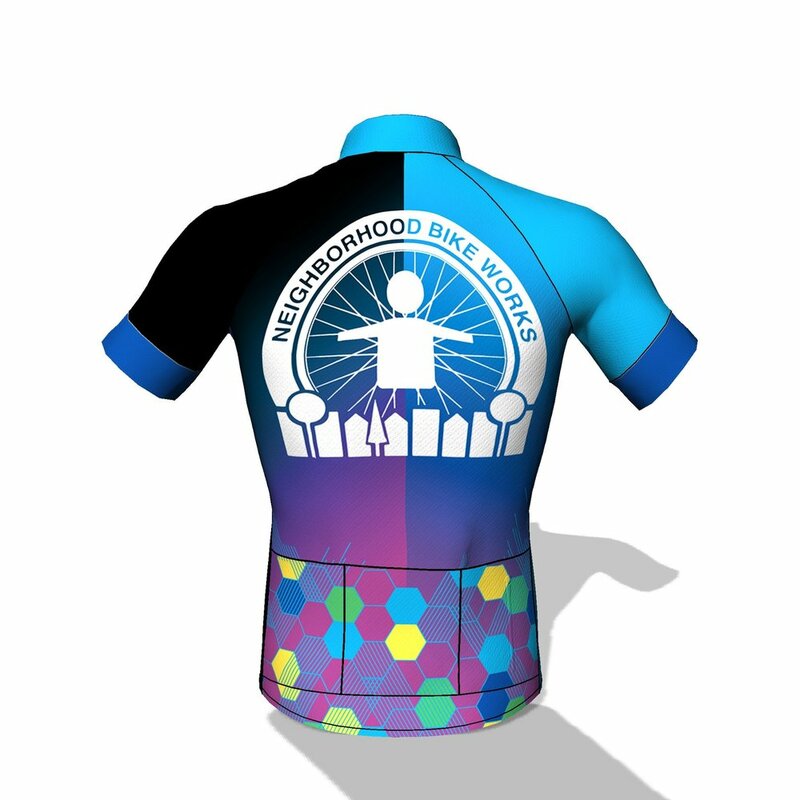 We as well designed a cycling jersey for community members and supporters to enjoy on their bike rides. Design and print production artwork for Pedalpalooza, an end of the year bash for Neighborhood Bike Works open to others to attend that including a silent auction, kinetic sculpture rides, food and festivities. Postcards and flyers were create to promote the event. 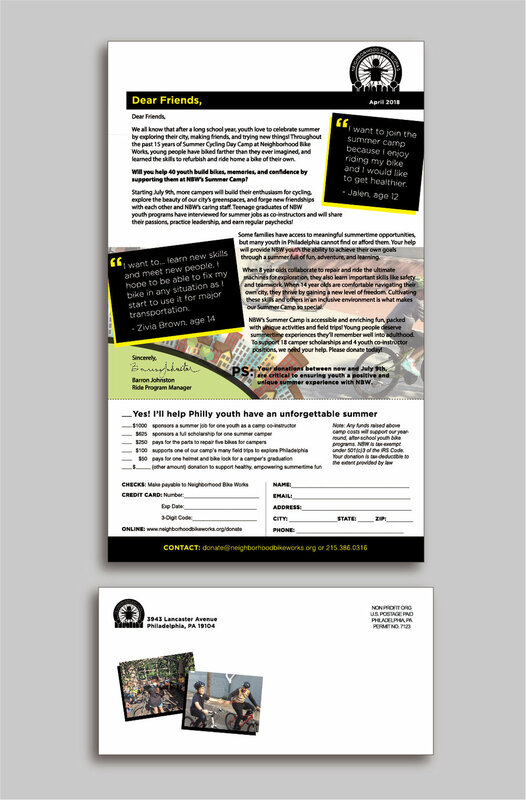 Design work and layout and print production artwork for envelops and letters that were sent in the mail to help raise money for Summer Cycling Day Camp. The camp is a day camp program offered by Neighborhood Bike Works during the summer. Cycling jerseys were made by Voler. The inspiration came from the Cadence Youth members who requested hexagons and colors including a cyan blue, yellow, green and violet. Work was done in color matching to the requested colors, concept creation, production artwork and working with Voler through the production process to ensure the design was created properly. 3D images created and supplied by Voler.